The BD-5 has a small streamlined fuselage, with the engine installed in a compartment in the middle of the fuselage, and a propeller-driving engine - or jet engine in the BD-5J variant - mounted immediately to the rear of the cockpit. The combination of fighter-like looks and relatively low cost led to the BD-5 selling over 5,000 kits or plans. On February 1971, the first $200 deposit to reserve a kit was accepted. By August 1971, 800 deposits had been taken, even though the first BD-5 prototype had yet to complete high-speed taxi tests. By the end of the year, the company had taken over 4,300 orders, making it one of the most popular general aircraft projects in modern history. From a fiberglass fuselage with a V-tail, it was redesigned entirely in aluminum with a conventional tailplane. By the middle of 1973, the basic design was complete and the tooling set up for production. 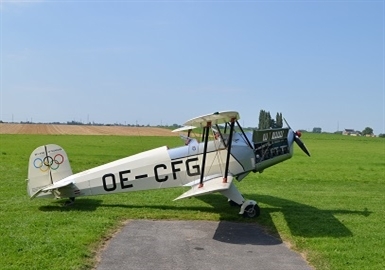 Bede offered to send the kit without engine so that the builder could complete the airframe by the time the engine was available. Many builders accepted this offer. 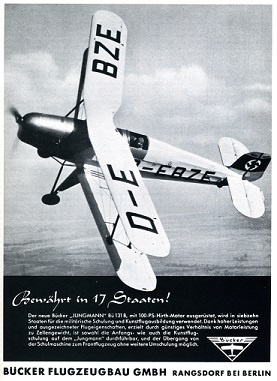 Originally, the BD-5 was fitted with a 40hp Kiekhaefer Aeromarine, but Kiekhaefer and Bede could not reach an agreement about deliveries, forcing him to change to a similar 40 hp Hirth Motoren design, then selecting a larger 55 hp Hirth, instead. In 1974, Hirth went bankrupt after about 500 engines had been delivered. A replacement was found with a Xenoah design from Japan. Development of this engine was lengthy, and in the end it would not be certified for export until 1978. After more than 5100 kits had been delivered to homebuilders, the Bede Company went bankrupt too in 1979. It was learned that the money ostensibly being used to build kits was instead being spent on other projects.